"Nick Galante in the No. 17 RS1 Porsche Cayman set one of his own in the Street Tuner (ST) class, with a lap of 2:07.583, which was .17 seconds faster than the previous record set by Marc Miller in 2014. Watkins Glen has treated the Greenfield, Mass. 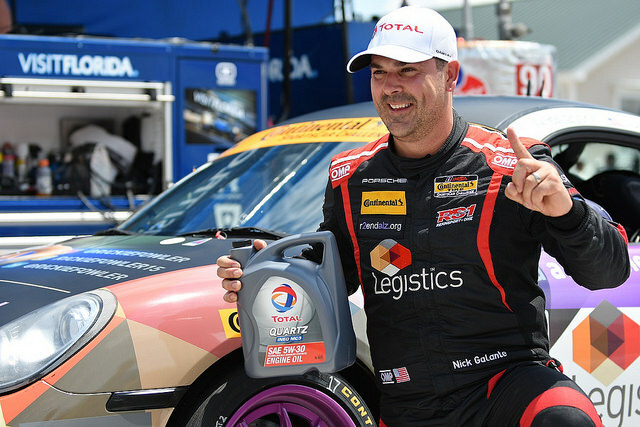 native well over the last two years as Galante recorded his first Continental Tire Challenge series win here last year and Friday’s pole was his first in the series as well." New! Receive Email Updates From Nick Galante Racing!